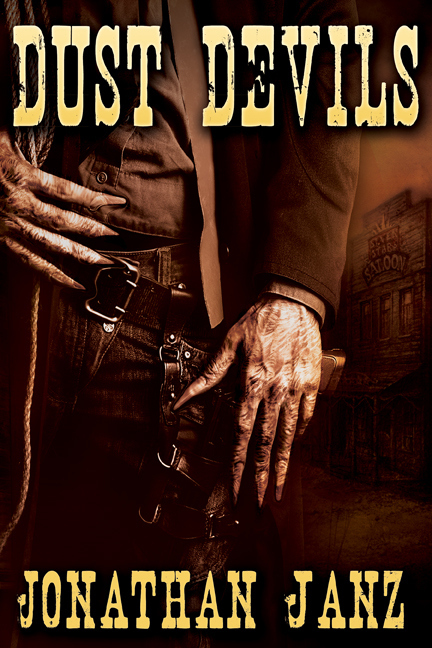 Octane Loaded Second Review of Jonathan Janz’s Vampire Western, Dust Devils! Plus an Interview (Squeal All You’d Like)! | Oh, for the HOOK of a BOOK! Octane Loaded Second Review of Jonathan Janz’s Vampire Western, Dust Devils! Plus an Interview (Squeal All You’d Like)! At the time of the vampire western novel, Dust Devils, was releasing on February 4, 2014, I gave a partial review for author Jonathan Janz and promised I’d be back to give my full review. Here I am!! This month went way to fast and had way too many things happening. So I’m going to give you a snippet of my first review and then head into my review of the second half of the book! 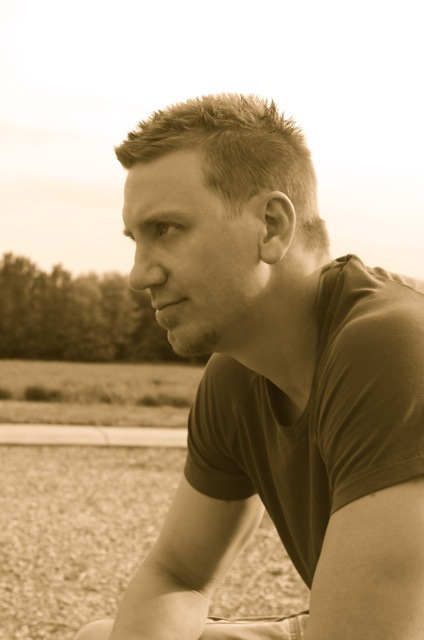 Following that I have a HOT interview with Janz on his newest novel (I know, I know all you screaming fan girls already think he’s hot…well, just read the interview already!)! Excerpt from My First Partial Review of Dust Devils (find all of this previous post HERE)…. One of my author buddies, the one I think I like because I make him laugh, or maybe I try to make him laugh and he just smiles not really laughing….or maybe he is really laughing at me and not with me…..ah, I digress, no matter the case I actually like Jonathan Janz AND his writing. Telling you he is a friend of mine doesn’t make my review, evaluation, or recommendation any less REAL. For me to tell you to read it, I have to like it. My reputation is gold to me. So, as my writing friends know, even if I dearly respect and admire you, I won’t sell your book as good if it is not. I’m honest and so honestly, THIS BOOK IS A MUST READ!!! Now, about DUST DEVILS……published Feb. 4, 2014! At least so far, I mean I am just a little behind (Feb. 3) and so only 40% in, but that isn’t because I’m NOT sitting here chomping at the bit, thinking of neglecting my children and feeding them bread crumbs while I finish the book. No, I will just torture myself by waiting until bed time and then stay up all night finishing it until I collapse and wake up clutching the comforter in a death grip from the vampirism terror I am bound to come across. Reading this much so far though, I know a few things. It’s IS the best book I’ve read by him. And yes, I’ve said this each time, but he gets better each time and this one far exceeds any others. His characters have great dimensional depth and emotion. I already feel as if I know the two lead protagonists, Cody and Willet. I’m already pulling for them to leave the winners in any final showdown that may occur. I already know their fears and desires, have seen a father and son relationship blossom between a man who just found a boy who needed saving from some nasty actors, who just happen to apparently also be vampires. I love his use of the traveling stage play and traveling actors as the vampire’s cover and even enjoyed the scenes where they cooked human flesh on the spit….did I just say that?? Ok, ewwww…but it didn’t SEEM gross, because it is so well-done. Kinda like the troll scene in Lord of the Rings? Janz uses techniques of Stephen King, such as in The Dark Tower series (he may not even realize it) and King’s overall style in creating a character in a way in which we HEAR what is happening in his head. Either through the character talking to himself or some reader asides. Ronald Malfi is a great literary author who also employs these techniques. Beyond that, King is great at creating characterization in which you feel a connection with characters. Janz is spot on in this regard. He’s slowed it down, which creates suspense, and also let his work breathe and live and roll around in your head. I am not a western or country gal, I know this. BUT I do love history and this time period of the Wild West is so intriguing so I like the setting a lot and his details. I can tell he put a lot of research into the novel. I’ve enjoyed Larry McMurtry in the past, as well as Elmore Leonard. This type of literary western with some horror added to it seems to be blazing new trails. It’s working, at least in Dust Devils it’s a win. From a horror perspective, you might like it if you also liked From Dusk till Dawn. In a vampire market saturated with Victorian era night crawlers, I think, why wouldn’t they have gone through this time period of no holds barred outlaws, too? It’s fits them perfectly! It’s refreshing….well, in a scary way!! And NOW, what did I think of the second half of the book, you say?? Readers, you’ve been waiting a month!!! Let me finally finish up my thoughts…. The continued spot on (can use that term for horror and not just my reviews for British authors??) in my book…err…in his book, well ok, you know. It continued on with great substance and speed, not falling apart of diverging from its proper path. If anything, it sped up. Ok, it DID speed up, with ALL and every ounce of adrenaline that is UNIQUE to Jonathan Janz. I saw Stephen King-like writing morph into pure Jonathan Janz and he should be proud of that. Why? Because just as I might pick up a book with a hidden cover and read part of it and say, that’s King…I can pick up one of Janz’s books and immediately pick out the writing of his as well. That means he is an original voice, which creates a fan base and can sell someone ahead of the pack (my marketing mind at work). He’s one-of-a-kind. He leaves every bead of blood and sweat on the page as he writes feverishly with enough emotion and action to make my head spin off my neck. Every time I am reading Janz, I grab Tim next to me in bed and I say, “I can’t believe he is writing this, I can’t believe I am reading this” but he makes me want to read it. And then I even make Tim excited and he wants to read it, and Tim is so laid back it isn’t easy to get that result. Even as Janz assaults every sense, including my gag reflex, I want to read it. It’s like drugs and fuel and running on horror. So there you go. Intense right? Well, that’s how Janz writes, intense. And he makes me want more of his writing like a junkie begging for his crack. As far as Dust Devils goes, he accomplished this once again so I only have him to blame that now I have the shakes. I think Janz brought something new to us in Dust Devils in his portrayal of vampires. Not only did he rock killer vampires with evil motives, but he kinda made them zombies (and I hate zombie books and movies…darn you Janz!!) in a way too. They were ruthless. I think this was a spin I haven’t quite seen before, but you know these vamps ate people, didn’t just longingly lick their necks. He writes the beginning character driven, with so much emotion. In Dust Devils, he explores loss, sadness, finding oneself, healing from hurt, father/son relationships, and love, romantic and for others. He takes on trust and choice and allows us to slowly know and care for the characters and feel terrified for them as things come to pass. Like King, he focus on the characters while we wonder about the dread that might be lingering somewhere in the background. However, unlike King who continues this still into the middle of most of his book, Janz starts to kick it up a notch eventually, leaving his original Janz mark of high-octane prose. Then the ending….I can’t give it away even though I want to talk about it. But it left me in tears and my own heart on the table for the taking. He took us all the up to the height of emotional turmoil, then….ah, I wish I could tell. I was so sad at the circumstances, even though I understood. It was such a special sacrifice and you’ll just need to read it to experience it. The very, very ending…it was more than lovely. It was touching, redemptive, and heart-felt. It showed that pleasure can exist with pain and love with loss. It’s one I’ll always remember, I think, for its touching nature and silent message of hope. Yes, quite an array of emotions. I can only picture Janz as he is writing it….lol! Final note, Dust Devils is one awesome book that I highly recommend as one of the best horror books I’ve read in a long time. It’s so well-rounded; he’s likely creating his own new brand of literary horror that pushes every single line imaginable. One final, final note: It includes a lot of blood and gore. I never thought I’d say I would read that, even thought I like King, not any gory things ever graced my shelf. These horror authors I know, and Janz is the main one, have taken me to the very dark side of the dark side and showed me how to enjoy it, while still staying in the light. Hey, Jonathan! Glad to have you back on Oh, for the Hook of a Book! We’ve done a full-length interview in the past, but I wanted to have you drop in to answer just a few questions about your latest release, Dust Devils! What’s your drinking pleasure? Heck, for you I’ll even whip up something special…. Jonathan: I don’t drink much at all, but when I do it’s regular old beer. 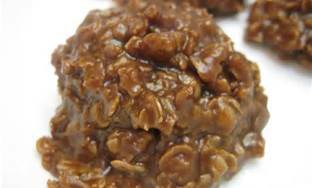 So…how about some no-bake cookies. Or just cookies. I’m not picky. Erin: Mmmm, I see you know me too well, assuming I meant alcoholic. *wink* We can drink iced tea or beer, I’ll go see what I’ve got. Cookies, awesome, there you go! You know I’m great at baking (or in this case, non-baking). For me, I’ll have a side of your nachos, did you bring any along? Jonathan: I tried to bring some, but my son ate them before I left the house. He’s always eating my food. Q: You’ve grown so much into your role as an author since you and I first met! Since then you’ve started to push yourself and try new things within the horror genre. What made you decide to write a “western horror?” And further, where did you come up with and create your wild west vampires? A: Thanks for saying I’ve grown. I think the idea of writing a horror novel set in the Old West came from my love of the western genre, as well as an affinity I’ve always had for vampires. I have very diverse tastes—I could see myself writing a thriller, a fantasy novel, or even a period romance someday—so to transition into a western sensibility wasn’t at all difficult for me. I’ve been enjoying western films since I was a teenager and reading western novels for about a decade. I think I’ve absorbed those films and books. From there, it was a simple matter of giving that part of my creative mind free rein. I had a blast writing DUST DEVILS, and I will definitely revisit the western at some point in the future. Q: Have you notice any other new trends in the horror genre? Are you a trend setter or a trend follower? And why? A: Definitely a setter, though I don’t want to imply that others follow me. The thought of anyone mimicking what I do is more than a little terrifying—for the human race. But I don’t look at trends that are occurring and think, “Man, I need to capitalize on that.” For me, the storytelling process is very personal, and that would make it difficult to write based on a trend. Ironically, I love zombies, yet I haven’t felt the need to write my own zombie novel yet. Maybe I’ll write one when they cease being popular. Q: The themes you expressed in your novels such as relationships, loss, redemption, and fear are some important issues that make a horror book even more literary and create lasting connections for the reader. Was it challenging for you to open up yourself and be vulnerable with your writing? A: Thank you for noticing those themes and issues. At first it isn’t difficult because you’re writing what’s in your heart and what’s on your mind. You’re solitary, you’re cloistered in an upstairs room (at least I am), and you’re just letting the story breathe. In the editing process it gets a bit more challenging because that’s when I start thinking like the reader. I see how raw the things on paper are, and I wonder how folks will react. But as long as what I’ve done works for the story, I leave it in. As you’ve noticed, DUST DEVILS deals with some very powerful emotions and themes, and I hope those elements make the story resonate in a more powerful way for the reader. Q: What was your process for creating the depth in your characters? A: I’m a believer in Stephen King’s “Boys in the Basement” concept that stories and characters are largely a part of a writer’s subconscious. In any scene, I really go by feel as much as intellect, and I allow what’s in my subconscious to spill onto the page. From there, I try to “method write,” which means—like method acting—I try to become (mentally/emotionally) the character I’m trying to draw. So with Cody, I went back to my twenties and remembered how incredibly insecure I was, and how much more pain I would’ve felt had I met a woman like Angela, the wife who betrays him. When I wrote the Marguerite character, I thought of how a proud woman would feel if she were physically and emotionally abused by a man who wielded power in a small town; I thought of how infuriating and hurtful it would feel to have no recourse for the wrongs done to me, and then how I’d react to this new stranger (Cody) who rides into town with his own demons. So by becoming Cody and becoming Marguerite, I tried to create a living, breathing relationship rather than a bunch of cobbled-together character traits. A: Wow, that’s a tough one. Either Cody or Marguerite or Jack Wilson (Cody’s dad). I mean, I love all the characters in DUST DEVILS (even the slimy sheriff), but the above three spoke to me the loudest. Cody because he experiences pain like few people experience. He’s humiliated, he’s broken, and he’s haunted by the mistakes he’s made. But he finds the courage to rally, and as hokey as that sounds, I loved that about him. Marguerite didn’t have the “screen time” that Cody did, but I felt like she had honor, brains, and a sense of humor. I thought she was a woman most men would fall for, even without her gorgeous looks. Jack Wilson isn’t in the book until the end, but he casts a shadow—or a light—over the whole narrative. He’s not perfect, but he’s the kind of dad I would have wanted when I was growing up. Erin: Marguerite was MY favorite, probably because I recognize a lot in her of things I’ve been through and where I’ve come. I connected to her. I would love to read about her more. Maybe a prequel? Q: I loved your cover art by Samhain artist Angela Waters. But can you describe how your vampires are different than most mainstream vampire characters many read today? What’s with the long yellowed fingernails anyway??!? It’s the one thing I remember scared me most about Bram Stoker’s Dracula. A: Angela is amazing. I’m so glad you love her work too! Regarding my vampires, I think they’re a healthy blend of the bestial and the seductive. I feel like many portrayals swing too far in one direction (disgusting, unthinking monsters) or the other (supermodels with fashionably petite fangs). I wanted the vampires in DUST DEVILS to be the best of all worlds. They’re actors, first of all, so they needed to be physically attractive and seductive enough to lure beautiful women into their traveling show at each town. Plus, they’ve lived for centuries, so that would indicate that they’ve acquired more knowledge than a normal man would have. So on one hand, they’re cultured, handsome, and urbane. However, they’re also slaves to their thirst and unable to resist the slaking of that thirst when presented with the opportunity to do so. And I thought that this facet was a logical gateway into the ferocity within them. They’re extremely prideful and full of rage, so when anyone threatens their supremacy, that atavistic belligerence explodes and leads to bloodshed and death. I think my vampires are as vicious as any in fiction. As for the yellow fingernails, I modeled those off of my own, which are seven inches long and the color of dying sunflowers. Erin says: OMG!!! Q: I noticed in Dust Devils that you slowed the beginning down to create character relationships and make us tense with suspense. Can you talk about that a little bit? After coming off reading such a high-speed action focused read like your Savage Species serial, how challenging was this? Which is your more natural writing style and which do you have to work more at? A: I’ll start by answering the last part of your question first. Both styles are very natural to me, and I think the many other styles you see in my stories, from the 1920s journal entries in THE SORROWS to the fifteen-year-old points-of-view you’ll see in my YA book. I never want to write what isn’t in me, but frankly, I think there’s a lot in me. I’ve been reading from all sorts of genres and periods for a good while now, and I’ve always read with an intensity and interest that has allowed me to internalize the different kinds of writing to which I’ve been exposed. So with SAVAGE SPECIES, I channeled my inner Richard Laymon and allowed that sensibility to coalesce with my own voice. In DUST DEVILS I really allowed the western stories of Elmore Leonard and Cormac McCarthy to permeate my language and rhythms. McCarthy, particularly, has a lyrical style that requires some patience of the reader, but that also rewards the reader with some lasting riches. In novels like LAST STAND AT SABER RIVER and VALDEZ IS COMING, Elmore Leonard really invites the reader into the inner lives of his protagonists, and I think this intimacy is what really allows their relationships with others to live on the page. Cody Wilson’s point-of-view is the only perspective we get in DUST DEVILS, and I think that allows us to experience what he experiences, feel what he feels, and suffer through the same difficulties. And I agree with you the characterization and the relationships are responsible for generating the suspense that exists in the novel. Q: I know you have a sequel coming up for The Sorrows and maybe a YA novel (hand claps!! ), but is there anything else in that never stopping brain of yours that you’d like to try writing? A: I’m currently writing a novel that’ll come out in January of 2015 for Samhain Horror. In addition to that, I have a top-secret novella that’ll release this summer; it’s something I’m really excited about, though I’m not supposed to talk about it yet. This summer I’ll be working hard on finishing the first book of a planned trilogy. I have a ton of other projects simmering or incubating, but I’ll talk about those at a later date. Erin: Stomping in frustration from needing immediate knowledge. Erin: Thank for coming by, Jonathan!! I wanted to keep it short as your high octane personality has already shown through enough and I have nacho sauce on my chin. 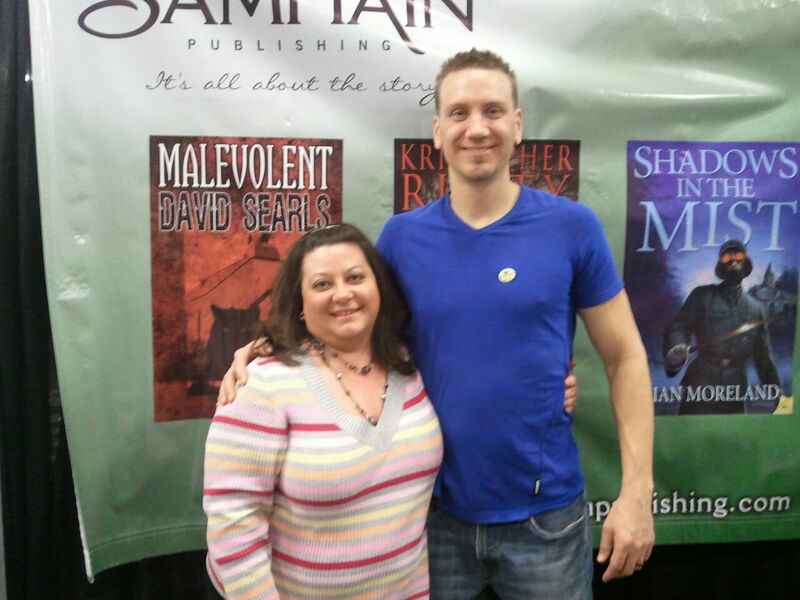 Wish all your readers could see your big personable smile (aw, I know you want them to see a serious, scary face of a horror author—alas, I’m just glad you finally showed your face!) It’s been fun, talk to you soon, and keep up your fabulous writing! Best of luck with Dust Devils, my dear friend! Jonathan: Thank you so much for having me, Erin! It’s always a blast. I can’t tell you how appreciative I am of all your friendship and support. You rock! Samhain Horror published his novel of vampirism and human sacrifice The Darkest Lullaby in April and his serialized horror novel Savage Species this summer. Of Savage Species Publishers Weekly said, “Fans of old-school splatterpunk horror—Janz cites Richard Laymon as an influence, and it shows—will find much to relish.” His next release, the superhero/action/horror/thriller Bloodshot: Kingdom of Shadows, is available now through Kindle Worlds. His vampire western Dust Devils just released this February of 2014, and his sequel to The Sorrows (Castle of Sorrows) will be published in July 2014. He has also written three novellas (The Clearing of Travis Coble, Old Order, and Witching Hour Theatre) and several short stories. One of Jonathan’s wishes is to someday get Stephen King, Peter Jackson, Jack Ketchum and Joe R. Lansdale together for an all-night zombie movie marathon. Of course, that can only happen if all four drop their restraining orders against him. For more information, go to www.jonathanjanz.com!